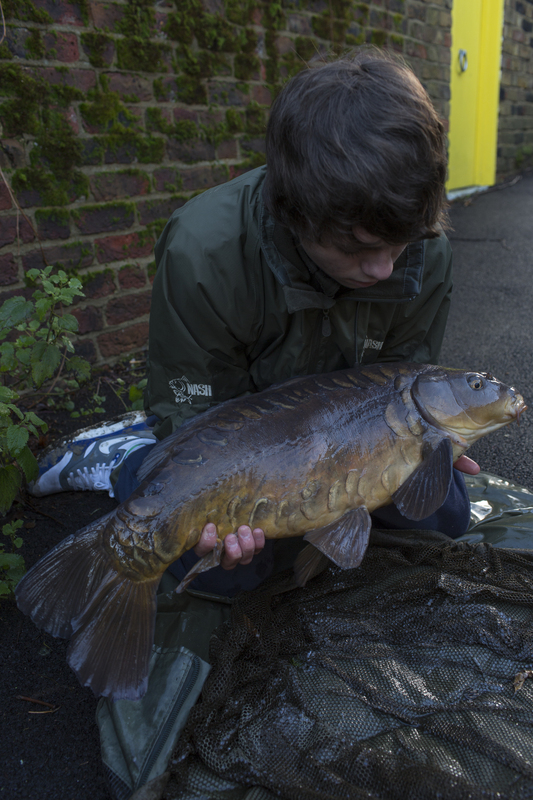 Eight 30s for Nash’s young carp fishing star Alfie Russell! SINCE the early winter, I had planned that I was going to spend the late winter on one of my local park lakes. 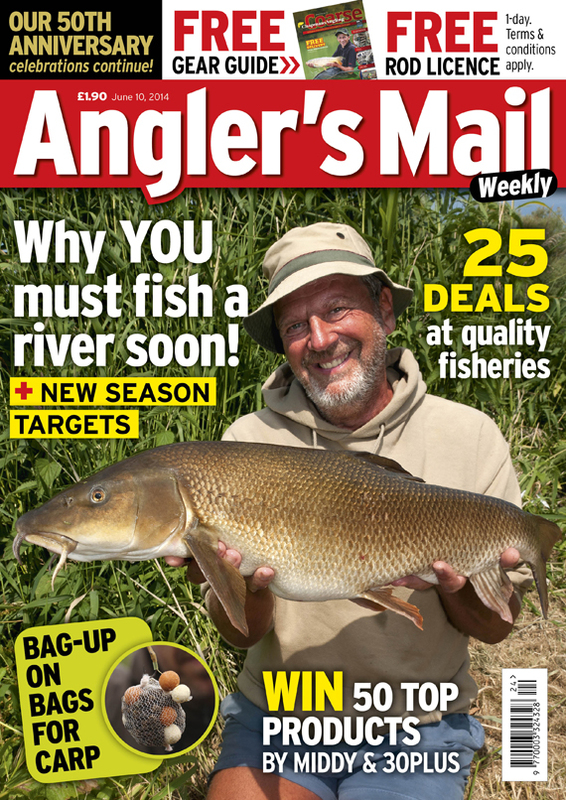 I have fished it in the winter for a few years now, so I know each year how to approach it. There is one particular fish in this lake that I had been targetting, a stunning old mirror of around 30lb. I started off the campaign in mid December, and was off to a flyer. I managed seven fish in 36 hours to 21lb, all dark old stunning mirrors – wicked action for freezing conditions. I baited before I left, planning to return in two days and have another go. Unfortunately for me someone fished on my baited spot the next day, and caught the fish I wanted, but that is part and parcel of fishing a busy public park lake. Sometimes you just have to deal with it. After she was caught, I knew it was unlikely that I would catch her before the end of the season so I got myself busy and involved with Nash, attending all the winter carp shows and had a great time whilst also planning an exciting adventure as spring was just around the corner. I was planning to fish a water I had done some time on in the autumn of last year. I had struggled a bit as I couldn’t keep an eye on the lake and didn’t really manage to get any really campaign going. However, with the coming of spring I began to make the effort to visit the lake baiting and watching. Everything just seemed so perfect; the grass was growing and the leaves sprouting and the carp were becoming more active each day, giving me more clues that would hopefully lead to success. I started baiting with a prototype boilie from Nash Bait, along with a fair bit of hemp just to get the fish to clear a nice area as there was shallow silt on the spots I had chosen. I used a bare lead to feel the bottom each time and the fish were definitely eating the bait and the spots were getting harder each session. I lost two fish in my first two nights on there, which was quite gutting as there are some very special uncaught carp in this venue. I sat down rethought through my end tackle approach. I knew I was doing it right, they were visiting my area, clearly eating the bait and clearly picking my hook baits up. I stepped up a hook size, and changed from using hinged stiff links to chod rigs. I am really confident in my chod setup – landing loads of fish and losing only one in around two years. My next session I managed to get on them again and this time they didn’t fall off! I had a stunning 35lb mirror, and a 26lb linear. Result! I was back and confident. The fish fought ruthlessly and thankfully stayed on so I was over the moon. I continued with the same approach and I have managed to catch consistently for the next eight sessions or so. I couldn’t have been more happy with the way spring has panned out managing eight thirty-plus pound fish out in two weeks and a few mid twenties! The planning and baiting has really paid off and it has been an epic spring and very memorable indeed. I wish everyone out there a good spring and that you all achieve your targets this year! 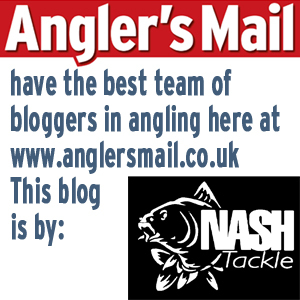 Click HERE to watch Alfie in video action for Angler’s Mail just after he won our Specimen Cup.